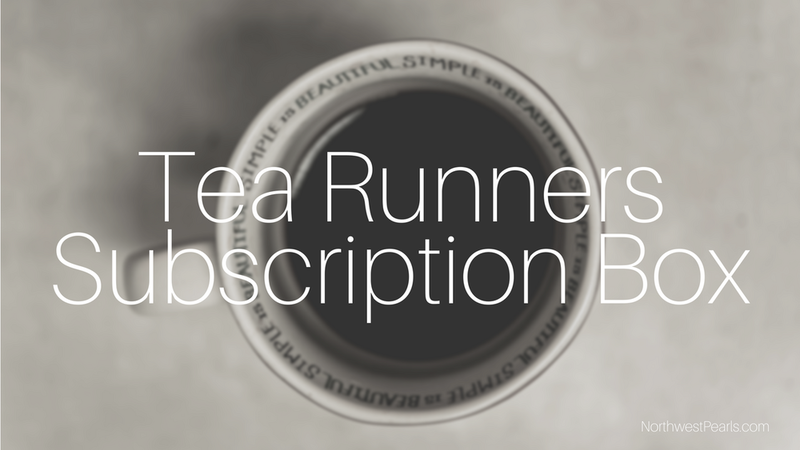 A few weeks ago a friend of mine showed me a new subscription box launching soon called Tea Runners. I love tea and so I decided to try it out. I was one of the first 300 people to subscribe for the first month and my box arrived last week. 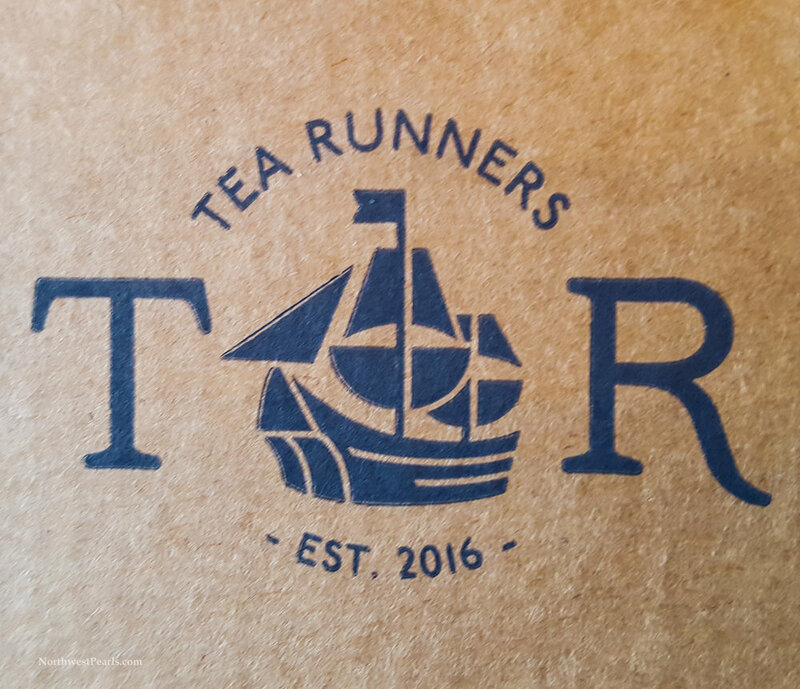 The packaging is pretty and I was super excited to open it and read about the four teas inside. I first tried their Peach Ginger Detox tea. It was delicious! I really need an electric kettle to set temperatures to to make brewing easier. This tea is made of white, green, and oolong tea. Generally my favorite tea is black tea, so I was looking forward to trying the CTC Black. It didn't disappoint. I've drunk quite a few cups just of this tea in the last couple of days. 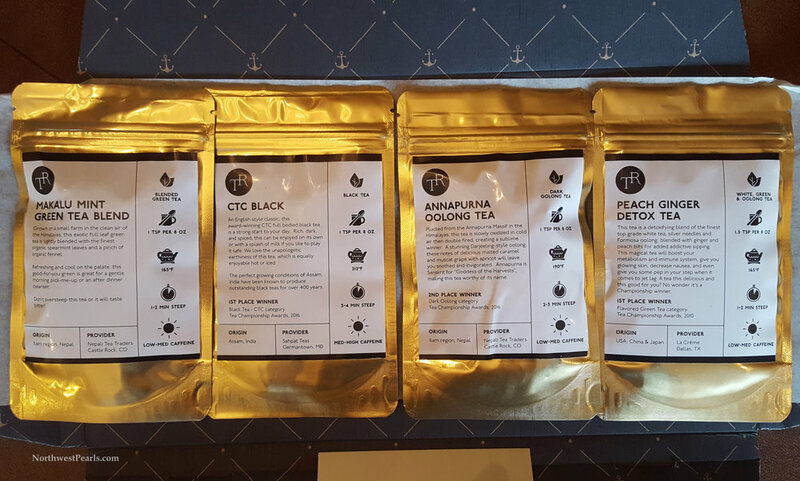 This month's box also included an Annapurna Oolong Tea which I liked too. I hadn't had Oolong before, at least not that I can remember. I made the first cup a little too strong, but it was still pretty good. The second one I didn't steep as long and I added honey to it. Honey makes everything better. Even amazing things. And finally, I tried the Makalu Mint Green Tea. I'm not a green tea person and maybe never will be. I like it more than I used to, but still don't love it. This was good, but the only way I usually drink green tea is by reminding myself of its benefits, or by not having anything else around that's caffeine free like my plain green tea is. So while this wasn't my favorite, that doesn't mean it's not good, that just means I still don't like green tea. This is such a cool idea and I think I'll continue with it. I'm just a little bummed that I've already used up a bunch of the CTC Black and it's been less than a week! My mom has been making amazing banana bread for as long as I can remember. I wanted to share her recipe, but alas, that's not allowed. So here's a picture of my banana bread made from my mother's secret recipe, with a link to a banana bread recipe from Crazy for Crust that looks good, and another from Betty Crocker. Do you have a treat you like to make? Recently I wanted to cook spaghetti squash to see if it really was a good spaghetti substitute. I preheated the oven to 400 degrees F.
Cut the squash lengthwise from stem to end. Scooped out the seeds. Then I placed the squash cut-sides down in a pan and added a little bit of water to the pan so it would help soften the squash. I cooked the squash for about 45 minutes before pulling it out and making sure it was soft enough to pierce with a fork. It was so I took a fork and started to separate the flesh into strands. I liked it but it definitely wasn't as good as spaghetti. It'd be good with a hearty red sauce, but it wasn't my favorite with pesto or just with butter and parmesan. Do you have any spaghetti squash tips? I love black tea and for my birthday I received a package of Flying Bird Botanicals tea. It was their English Breakfast version and it's so amazing! It's my favorite tea and since I'm nearing the end of it, I'm needing to order more soon! I'm tempted to try out some of their other flavors, and to also order a gift box for a friend I know who would love it. If I could eat breakfast every morning on a dock overlooking a lake I would. Sadly I can't right now. But that doesn't mean I can't make a bagel with cream cheese and salmon and another bagel with huckleberry jam for those rare days when I do get to have breakfast on a dock! What's something you like to make for breakfast? I was recently craving comfort food, in particular Chicken Pot Pie, so I decided to make one! In the past, okay, it was one time, I haven't had much luck with pie crusts. But I decided to try again and make my own pie crust. So I found this recipe from the New York Times and followed it for the crust. And for the pie filling, I followed this recipe from All Recipes. I could have cut the slits in the top a bit more symmetrical, and I could use some practice in rolling out the pie crust, but oh well. It tasted good anyways! The one thing I would change is to not add so much salt to the dish. I think most of the salt was in the pie crust because when I ate the filling and bottom crust, I enjoyed the dish more than with the top crust. But that's a pretty easy fix! What's a pie you like to make? I love Thai food, but I can't go out to eat all the time. When I found this Thai Chicken Soup recipe-that's made in a slow cooker!- I decided to try it. 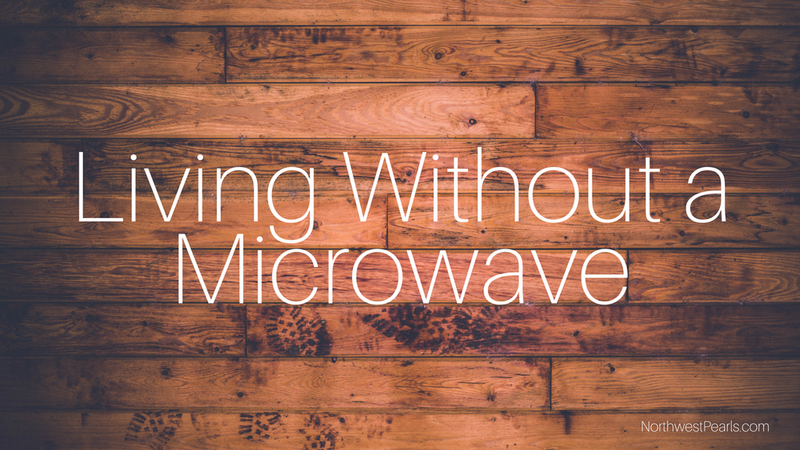 I went out and bought the ingredients I was lacking and made it in our slow cooker. It was an okay soup, but I wouldn't make it again. I'm not sure if I did something wrong or not, but it was really lacking in flavor. I love slow cookers usually, but I just didn't love this recipe. What are some slow cooker recipes you like to make?